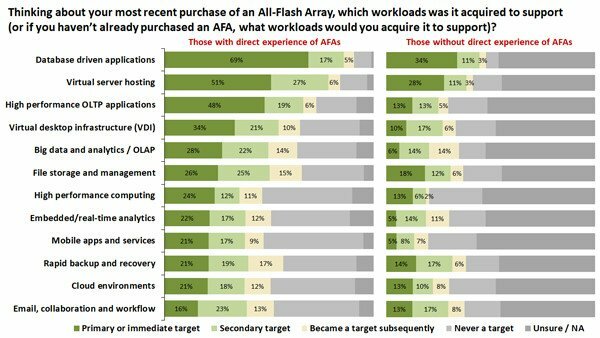 Research There are many reasons why someone might not be using an All-Flash Array. It might be that you can’t get the budget, say, or that you think it has been over-hyped. Maybe you are sceptical about whether your application set would benefit from it, or if it would fit into your operations seamlessly. Whatever the reason, recent research from Freeform Dynamics shows there’s one thing non-users have in common: they are much less likely to recognise what Flash technology is really capable of. Instead, they often have a more limited view of the opportunities it offers, and may underestimate its potential as a strategic enabler both for IT transformation and for business transformation more broadly. Indeed, when we surveyed over 300 Reg readers earlier this year, one of the findings that stood out was just how strong the difference in attitudes was between those whose organisations already owned and used AFAs and those who did not. In short, actual experience with AFAs is key to understanding the possibilities they offer. 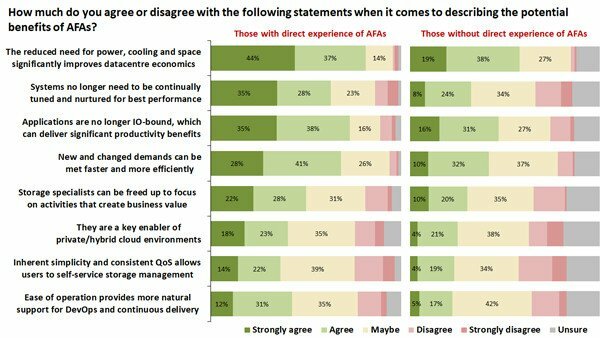 Reg readers are clearly telling us that once you have worked with AFAs, you ‘get it’ – recognising not just the specific opportunity to accelerate and improve your applications, but also the broader opportunities to reduce the admin load and to fundamentally transform key aspects of both IT and business operations. Bryan Betts is an analyst at Freeform Dynamics. But uh-oh! Is that NetApp creeping up on Pure?